Investors who are just learning the ropes of stock-market investing may be asking themselves: When is the best time to start investing? Our answer is today. We hope that after reviewing this White Paper you realize a steady commitment to the plan is far more important than having perfect timing as to when to execute the plan. I can't even count the number of times a new client asks how, and when, we will get their money allocated into the fi nancial markets. This question sometimes arises when the markets are at all-time highs, or even after a fi erce, ugly sell-off . I joke that I do not have a crystal ball, I explain that most of the money will be invested over the next several days, and the remainder will be averaged in or pushed quicker in case of a sell-off (ie, opportunities). Sometimes I can see the skepticism in a new client's face. The bottom line is: timing doesn't matter; time in is what matters. Navigation of the ups and downs of the fi nancial markets is never easy. 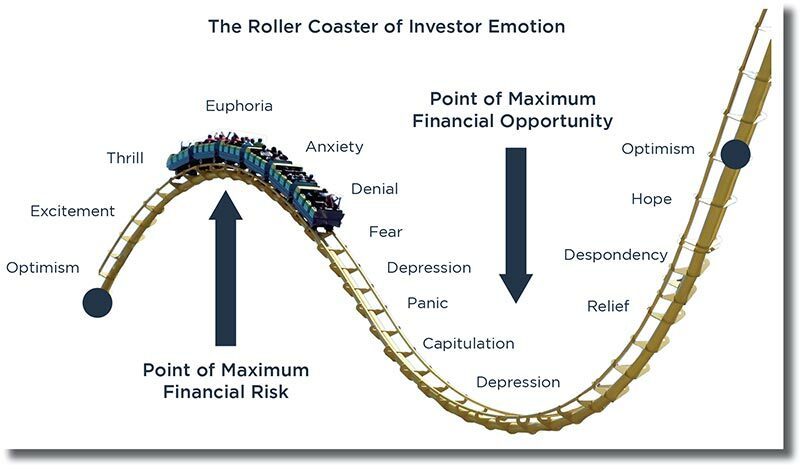 It's understandable why investors hope to jump in at the lows and cash out at the highs, before they go down again. Count us in on that ! Yet, 25 years in the fi nancial advisory business have taught me that no one can predict when highs or lows will occur in the stock market. We all want to avoid big downfalls, of course, and the anxiety about them that keeps investors “on-the-sidelines” may spare them short-term pain, but most certainly cost long-term gains. In many cases, sharp downturns have historically led to sharp upturns, though that is not always guaranteed. Steering clear of risk could be a risk in itself, since one can never really know precisely the best time to re-enter the stock market. The best reason to work with a professional manager like WT Wealth Management is that we are unemotional about investing. But, we are passionate about results. We rely on empirical data and time-tested research, not whims or emotions. We have a disciplined corporate culture, belief and philosophy about investing that we may fi ne-tune but will never abandon. The chart below graphs the results of two hypothetical investments in the Standard & Poor (S&P) 500 made over the 20-year period concluding on December 31, 2016. Each of the investors put in $10,000 annually. 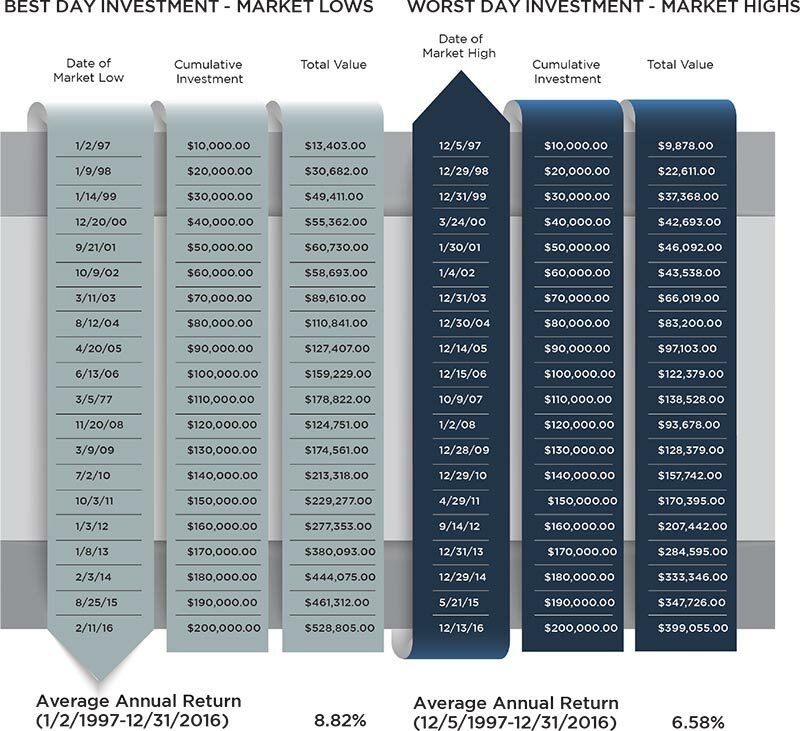 One was lucky enough (Peter Perfect) to select the best day of every year to do so—namely the market low— yielding a mean annual return of 8.82%. The other, however, was less fortunate (Bad luck Bob), choosing the worst day to invest the annual $10K—that is, the market high—culminating in a 6.58% average yearly return. 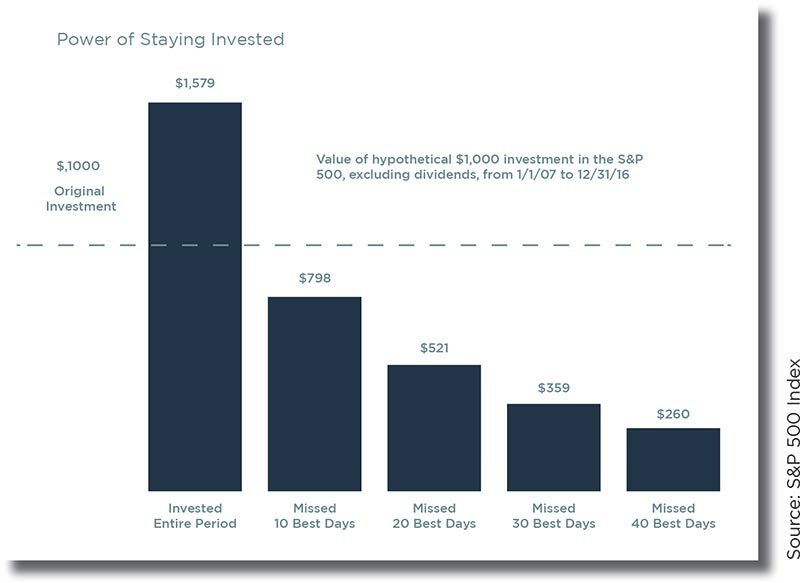 Both returns are signifi cant and many investors would be happy with either as some studies have shown that the average self-directed investor realized a return of less than 3% over the same time period. Therefore, even if one chooses each year's market high (worst day to invest) to contribute to an investment plan, doing so over 20 years does yield a substantial return. Although consistent investment neither guarantees profi t nor bars loss, the tables below show the benefi ts of a regular commitment to investing in a disciplined way, regardless of investment timing. Review the graphs below. The longer you stay committed the greater your chance of achieving a positive return and thus improving the chances for success. The previous 89 years have seen the S&P 500 rise and fall annually. If you have a one-year time horizon nearly 1 out of every three years will be a down year. The charts below illustrate that one-year investments enjoyed fewer positive returns than longer ones. Investors would have had almost 45% fewer low periods had they been extended their investable time horizon by two more years. In short, longer time frames increase chances of better returns. Moreover, 94% of the 10-year segments of the past 89 years through December 31, 2016, have been positive, yielding rewards for investors who remained in the market despite the sporadic (and expected) periods of stock price declines. The past decade has frustrated many investors, particularly since the Great Recession of 2008–2009, which caused some investors so much panic they ceased their investment contributions or even cashed out at market lows. The chart below illustrates what would have become of a hypothetical S&P 500 investment of $1,000 lasting from 2007 through 2016 had the investor missed out on that period's most prosperous (best) days. Had that investment been left alone for the span of that decade, it would have realized a total of $1,579 with an average yearly 4.67% return. Yet had the investor that missed ten of that period's most best trading days, the investment would have lost 20% of its principal value. Read that again, missing just the 10 best trading days over 10 years resulted in a net loss of 20%. In brief, stay committed, stay fully invested and have a disciplined planned and approach to investing. Exiting from the market to miss its worst days is, of course, an option. It's actually a great option. And, even with our more than 100 years of combined experience at WT Wealth Management, we still can't predict best or worst trading days. However, studies do show that people generally stop investing when the market is down, particularly after an especially diffi cult downturn, and resume investing after the market begins to bounce back, thereby losing a substantial amount of the recovery. I know investors who still have not reinvested their money after the 2008-2009 declines—and that was nine years and 1,800 S&P 500 points ago. Investing at the market lows takes an incredible amount of trust in one's conviction and investment discipline. I haven't met many investors, who work on their own, that possess the ability to do that. If you could muster up the courage to buy when there “is blood in the streets,” just look at the results in the chart below. Markets to tend to over-react and then snap back. In most cases, after periods of fi nancial unrest there's great opportunities to capture signifi cant gains. In this case, the early bird, does truly get the worm. Instead of trying to do the impossible task of forecasting high and low periods in the stock market, Instead, concentrate on the time you maintain your investment, not the timing of it. Do the current valuations of equities bother us? Sure. Does the unprecedented run-up since Election Day make us feel uneasy? Of course. Do daily tweets from the President, the division in Congress, the problems in Europe, the crazy leader of North Korea, and global terrorism put us on edge? You bet. However, instead of sitting on the sidelines, we head into the markets with new capital—with caution. We take our normal positions and hold more cash than usual. If the markets retreat, we buy on the dips. If the markets push higher, we slowly allocate our way in on equities that are lagging, or we search for new opportunities with new-found momentum. You do not pay us to manage cash—you can do that. You rely on us to be a calm, experienced and a rational hand in a very un-calm, un-rational, sometimes uncertain world. 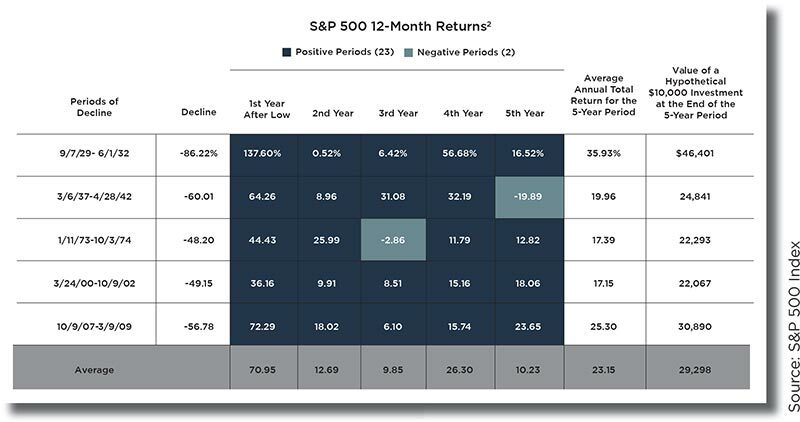 Next month we will examine investor returns vs. investment returns. Think about this: How can a mutual fund, for instance, have a 9% return over the past 10 years but the average investor that had exposure to it realized a 3.3% return? Unfortunately, it's because investors acting on their own have an uncanny ability to buy at the high and cash out at the low on a nearly fl awless basis. The fl ow chart below is tongue-and-cheek, but sadly true. It's human emotion at its best. WT Wealth Management is a manager of Separately Managed Accounts (SMA). Past performance is no indication of future performance. With SMA's, performance can vary widely from investor to investor as each portfolio is individually constructed and allocation weightings are determined based on economic and market conditions the day the funds are invested. In a SMA you own individual ETFs and as managers we have the freedom and fl exibility to tailor the portfolio to address your personal risk tolerance and investment objectives – thus making your account “separate” and distinct from all others we potentially managed. Any opinions expressed are the opinions of WT Wealth Management and its associates only. Information is neither an off er to buy or sell securities nor should it be interpreted as personal fi nancial advice. You should always seek out the advice of a qualifi ed investment professional before deciding to invest. Investing in stocks, bonds, mutual funds and ETFs carry certain specifi c risks and part or all of your account value can be lost. In addition to the normal risks associated with investing, narrowly focused investments, investments in smaller companies, sector ETF's and investments in single countries typically exhibit higher volatility. International, Emerging Market and Frontier Market ETFs investments may involve risk of capital loss from unfavorable fl uctuations in currency values, from diff erences in generally accepted accounting principles or from economic or political instability that other nation's experience. Emerging markets involve heightened risks related to the same factors as well as increased volatility and lower trading volume. Bonds, bond funds and bond ETFs will decrease in value as interest rates rise. A portion of a municipal bond fund's income may be subject to federal or state income taxes or the alternative minimum tax. Capital gains (short and long-term), if any, are subject to capital gains tax. Diversification and asset allocation may not protect against market risk or a loss in your investment. 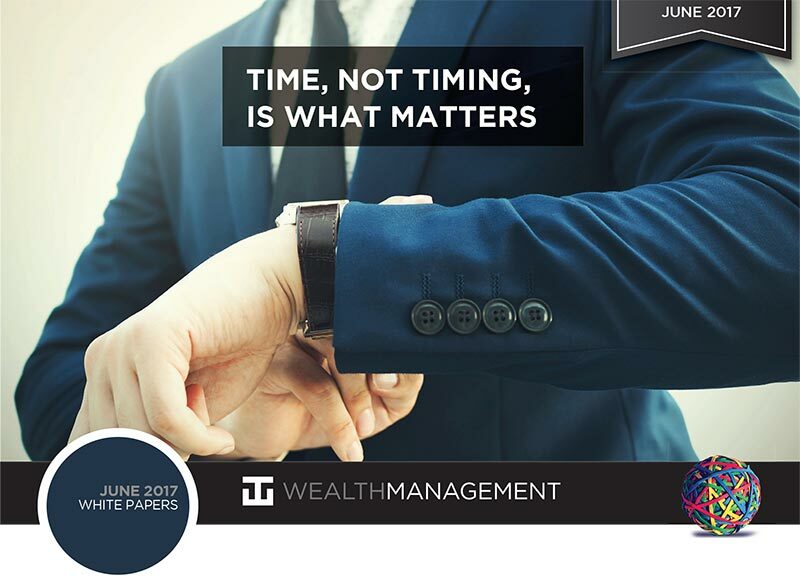 At WT Wealth Management we strongly suggest having a personal fi nancial plan in place before making any investment decisions including understanding your personal risk tolerance and having clearly outlined investment objectives. WT Wealth Management is a registered investment adviser in Arizona, California, Nevada, New York and Washington with offi ces in Scottsdale, AZ Jackson, WY and Las Vegas, NV. WT Wealth Management may only transact business in those states in which it is registered, or qualifi es for an exemption or exclusion from registration requirements. Individualized responses to persons that involve either the eff ecting of transaction in securities, or the rendering of personalized investment advice for compensation, will not be made without registration or exemption. WT Wealth Managements web site is limited to the dissemination of general information pertaining to its advisory services, together with access to additional investment-related information, publications, and links. Accordingly, the publication of WT Wealth Management web site on the Internet should not be construed by any consumer and/or prospective client as WT Wealth Management solicitation to eff ect, or attempt to eff ect transactions in securities, or the rendering of personalized investment advice for compensation, over the Internet. Any subsequent, direct communication by WT Wealth Management with a prospective client shall be conducted by a representative that is either registered or qualifi es for an exemption or exclusion from registration in the state where the prospective client resides. For information pertaining to the registration status of WT Wealth Management, please contact the state securities regulators for those states in which WT Wealth Management maintains a registration fi ling. A copy of WT Wealth Management's current written disclosure statement discussing WT Wealth Management's business operations, services, and fees is available at the SEC's investment adviser public information website – www.adviserinfo.sec.gov or from WT Wealth Management upon written request. WT Wealth Management does not make any representations or warranties as to the accuracy, timeliness, suitability, completeness, or relevance of any information prepared by any unaffi liated third party, whether linked to WT Wealth Management's web site or incorporated herein, and takes no responsibility therefor. All such information is provided solely for convenience purposes only and all users thereof should be guided accordingly.